1. Mix all the dressing ingredients and set aside. 3. Heat up the oil on a pan on medium heat and fry the tempeh until browned and crispy. 4. Add the broccoli and fry for approximately 5 minutes until soft but still firm. 5. Toss in the dressing and stir over the heat until all the cornstarch is dissolved and the sauce is evenly mixed. 6. 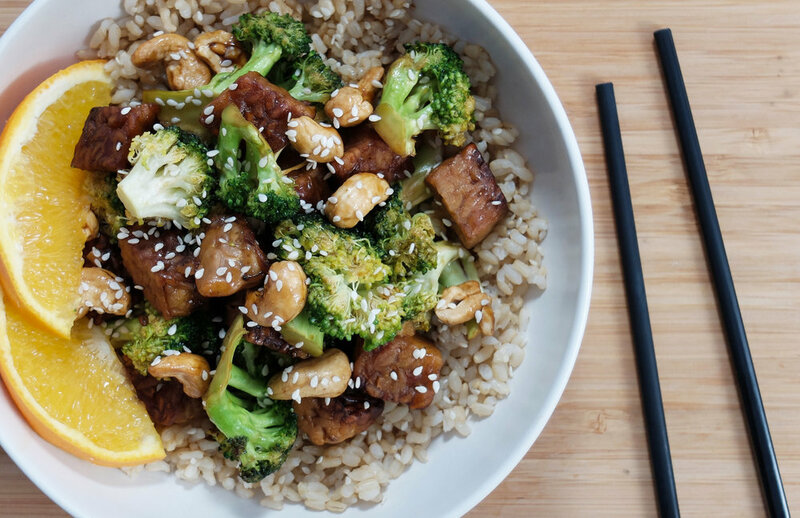 Serve on rice with fresh chopped green onions, sesame seeds, and cashews.